One thing is for certain in the Milwaukee area-the leaves always fall! 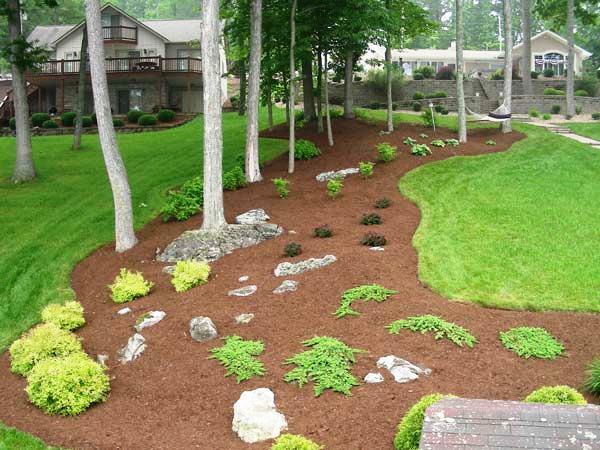 We offer full service clean ups including removal and disposal of all your undesirable lawn refuse. At the time of clean ups, we often encourage our customers to sign up for shrub pruning and perennial bed clearing as it is a good time to prune and clear out beds. Every property is unique in its requirements for spring and fall clean ups and we will come up with a program that best suits your specific needs. We understand all the headaches that come along with the snow. That’s why we’re ready 24 hours a day to clear your property. We offer our service’s to commercial properties. We use a mix of calcium chloride salt on our walks to get a fast melt. We also do not over salt our properties to save our customer’s plants, grass, and money. Let us be responsible for your snow headaches!